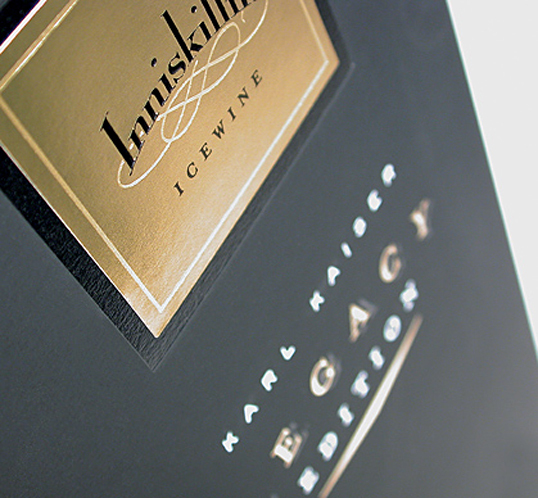 “To commemorate Inniskillin’s co-founder and the world’s most celebrated ice wine maker, Karl Kaiser’s retirement. 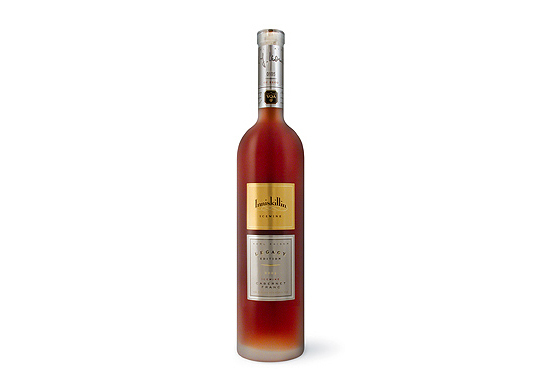 He created a legacy, only 3 barrels of a special reserve Cabernet Franc ice wine. 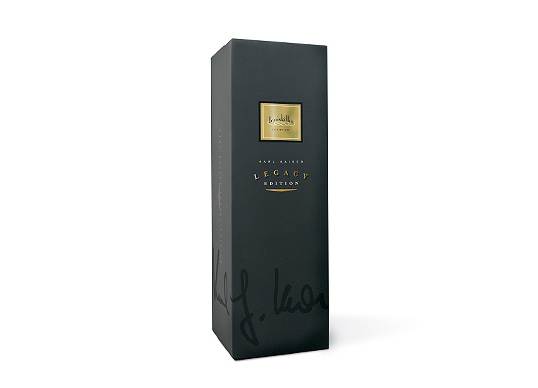 At $450 a bottle, only 1200 have been produced, making it a limited and prestigious offering. Birthing this monumental brand was a rewarding task for us. 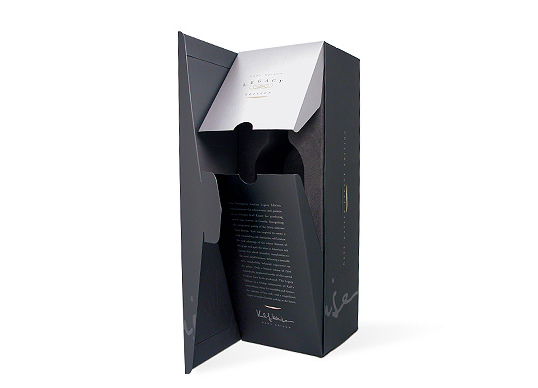 Not only due to the rarity of the product but the multi-disciplined printing and finishing techniques the package showcases. Once opened this tactile luxury outer package reveals an individually numbered bottle nestled in high density laser etched foam.